What Are the Best Small Business Tax Deductions & Credits for 2018? 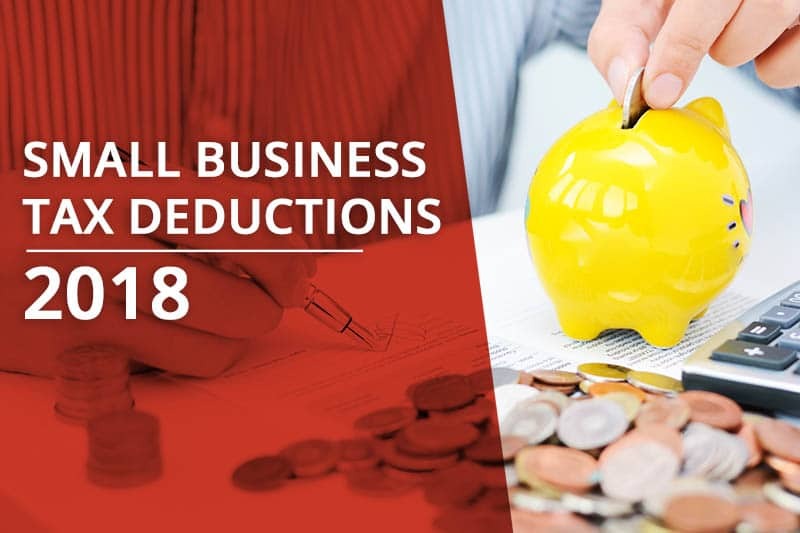 What Are the Best Small Business Tax Deductions for 2018? Each year, small businesses in Las Vegas look to lower the tax burdens. Sole proprietors, C or S Corporations, Partnership, and Limited Liability Companies (LLC) all use tax deductions to offset the costs of doing business. The goal is to find the best tax deduction to reduce the liability while providing a benefit for the business. Making a tax mistake as a business owner can be costly. It’s a good idea to meet with a tax accountant to talk about the new small business tax deductions for 2018 that could be overlooked. Are you a business owner in Nevada? We can answer any of your questions. Call (702) 471-7223 today for a free consultation. Small business are entitled to a number of tax deductions and credits. Let’s get two things clear from the beginning before we discuss the difference between a deduction and a credit and what your business might qualify for. While I’m sure you have heard about all the tax loopholes available when you own a business, be aware that many of them are quite complex and designed for large businesses that are well established and capitalized because they require the expenditure of large amounts of money in the normal course of business to qualify or otherwise take advantage of them. Think Microsoft or Ford. Spending a dollar to save 28 cents (or thereabouts depending on your applicable tax rate) is not good business or tax planning. (It’s also not good personal tax planning either, but we will look at that another time). Sure, the Internal Revenue Code says that all ordinary and necessary expenses of carrying on a trade or business are deductible in the year they are incurred. Does that mean that you just go and start spending money so that you can save taxes? NO! It means you structure your business and its operations to be profitable so that it fulfills the purpose for which you started the business—whatever that might be. And, oh by the way, you might get a tax benefit through a credit against your tax or—much, much more likely—you get to deduct expenditures your business makes in the normal course of its affairs. Related: How Are Businesses Taxed? A tax deduction is any ordinary and necessary business expense incurred in the operation of a trade or business. Costs of goods sold, advertising, payroll, office expenses, depreciation and many others are examples of expenses that can be deducted for tax purposes. Some expenses, however, are limited in their deductibility, such as meals (for which only a 50% deduction is allowed), gifts, and certain dues. And some, such as business use of a car or an office in the home require special documentation in order to be allowed. A tax deduction reduces income in order to determine taxable income. This business would pay taxes on $70,000 for the year. The more expenses, the less tax. But, again, refer to the discussion above about spending money just to save taxes. The IRS says a business is entitled to deduct its ordinary and necessary expenses. But what requirements must be met? All expenses must be documented in order to ensure deductibility or the IRS will not allow them if the business is audited. Any business deduction claimed that is paid by check, credit card, or cash must have a bill or receipt supporting the transaction that shows the amount, date, payee, and the business purpose. While this may not seem practical, it is reality. Some deductions, such as depreciation, require a supporting document at the time of purchase, and a record must be kept (smart business owners have an accountant who does this for them) of the amount of depreciation taken each year. Another special case relates to automobile deductions. The use of a car in a business is allowed, but detailed records must be kept regardless of whether the vehicle is used 100% for business. The IRS requires that mileage records be timely and written. This means that a mileage log must be maintained showing the date, beginning and ending mileage for business purposes and the business purpose itself. This becomes especially important if the vehicle is used for business and personal purposes. Personal and commuting usage is not allowed. A deduction for an automobile can be taken based on actual expenses—gas, oil, repairs, insurance, depreciation, taxes—or based on the miles driven for business purpose multiplied by rate determined by the IRS that is designed to take into account those costs. A business is allowed one or the other, but not both, in a given year. With proper record keeping, an accountant can determine the best deduction. The key is to keep detailed records in case an audit occurs. Without them, it is most likely that the deduction for a vehicle will be disallowed in an audit. Fortunately, there are now apps available that will greatly assist in keeping these mileage records. A tax credit is a dollar-for-dollar reduction in the amount of tax a business owes. This is a simplified example. In general, tax credits are limited in their ability to reduce tax liability and cannot produce a refund. In many cases, the actual amount of the credit may not be fully used in a given tax year, and any unused portion can then be carried back to the previous year or carried forward for 20 years. Actually, there are a few that might make sense for a small business. For example, the Work Opportunity Credit, in general, provides a credit to businesses that hire employees from targeted groups that have a high unemployment rate or other special employment needs. There are also credits for businesses that start pension plans, engage in research and development activities, provide disabled access, or provide on-site child care facilities and services. Even so, the requirements for all of these are lengthy and complicated. Which Small Business Taxes Might Apply? Understanding the types of taxes and how they are associated as a business expense is the first step. Many of these taxes are deducted from gross receipts as a business cost. 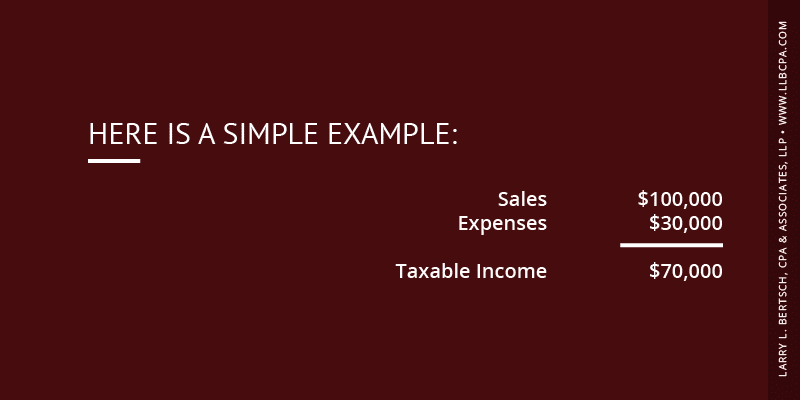 It’s a standard practice to help reduce the taxable income for the business. Federal and state income taxes are generated from the business earnings. The owner of the business or the business entity pays the tax. Employment taxes are mandatory and employers are responsible for deposits. Self-employment taxes are calculated on the net earnings. Sales tax is based on the state’s policy for selling goods or services. Excise tax depends on the type of business. Some businesses pay excise tax on fuels and highway usage by trucks. What Are My Tax-Deductible Expenses? Keeping accurate itemized records of income and expenses is part of the IRS tax law for deductibles. A good bookkeeper comes in handy for this detailed task. Most small businesses use merchant account services. It’s one method for tracking gross sales revenue. At the end of the year, merchants provide a 1099 tax form to the owner or business for tax filings. It’s important to work with a CPA to take full advantage of the allowable small business tax deductions. Mileage and reimbursements of personal vehicles used for business needs to be documented. Deduction amounts are the actual costs or the IRS standard mileage rate, and a bookkeeper can help you maximize your mileage deductions. Legal, professional and accounting fees are deductible. Deductible travel expenses for business include airfare, accommodations, transportation and meals. Business equipment is usually depreciated as a deductible over a certain number of years. There’s an option that allows the entire cost of the new equipment to be deducted. Salaries and hourly wages to employees are deductible. 1099 contractor fees are deductible. Can I Further Itemize My Small Business Tax Deductions for 2018? Daily operational expenses of running the business are deductible. Utility costs have exceptions. If you claim a home office, only the second home line cost for utilities is deductible. What Does the Smart Business Owner Do With Tax Deductions and Credits? There are several deductible options in a business where off-setting taxes can be beneficial. Selling property with a gain can be used as a tax shelter if the business losses can offset the taxes. Costs for improving property values are capitalized. The costs can be recovered through deductible depreciation. Interest on bank loans for the business is deductible. Asset investments or purchasing property for the business offers a tax deduction. 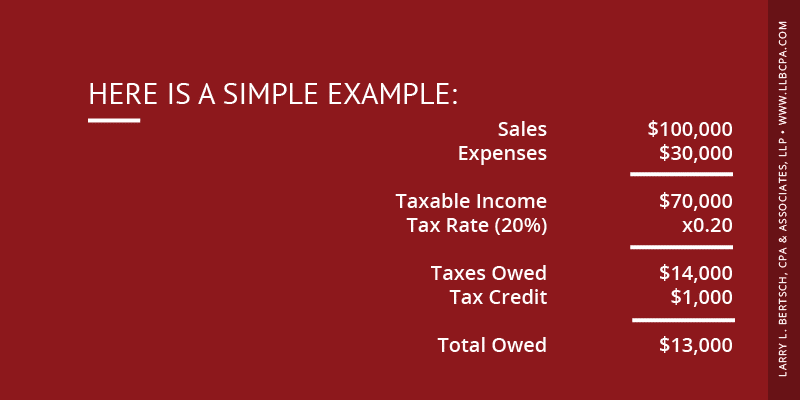 Ultimately the goal for a small business is to minimize the amount of tax liability. It’s done by planning ahead, learning about the business deductions, and filing on time. As a result, you get to keep more of the money earned by the business. As stated at the outset, the smart business person operates their business in a fashion that will generate a profit and fulfill its purpose. All ordinary and necessary business expenses can be deducted for tax purposes provided they are supported by proper documentation. Tax credits may be available but are complicated, costly and generally obscure. No business should be run strictly to get a tax deduction or generate a tax credit, but consulting with a competent and qualified professional, such as a Certified Public Accountant or Enrolled Agent, can help with these matters. For seasoned tax advice in Las Vegas, contact us at (702) 471-7223.